Doing a great job as an executor means knowing both what to do and what not to do. In fact, many executors do not even realize, that they can be help personally reposonsible for certain actions or for the failure to take certain actions. In an upcoming post, we will be bringing you a list of specific actions that Pennsylvania executors must take in many estates. But remember, that each estate is different and those estates that hold real estate or a business interest may have a very different to do list than those holding certificates of deposit and a stock and bond portfolio. In much the same way, and executors job can look very different where two siblings are co-executors than it would where one executor has seven different beneficiaries. Finally, if a will contains specific bequests, and/or a bequest to charities, the executor might have another whole set of deadlines and responsibilities. 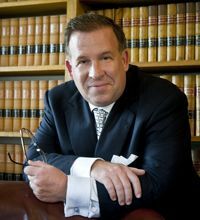 In any case, doing a great job as an executor and avoiding personal liability and lawsuits means avoiding the most common mistakes executors make. For our readers, we have prepared a great report on the ten most common mistakes that execuotrs make, and how to avoid them. Click here to read a brief article and to request a copy. 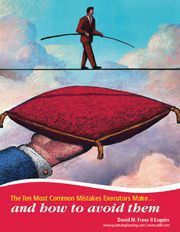 The Ten Most Common Mistakes Executors Make and How To Avoid Them. Call 610-933-8069 for a consultation or telephone appointment. Our law offices are located in Chester County Pennsylvania and our estate, will and trust lawyers serve Malvern, Paoli, Devon, Berwyn, Exton, Chester Springs, Gladwyn, Rosemont, Downingtown, West Chester, Phoenixville, King of Prussia and many other local communities.